The second group of speakers of #LetsGetSmart18 at ICSC RECon was the team behind DNA of #CRE, a survey of practices and trends of the commercial real estate industry. 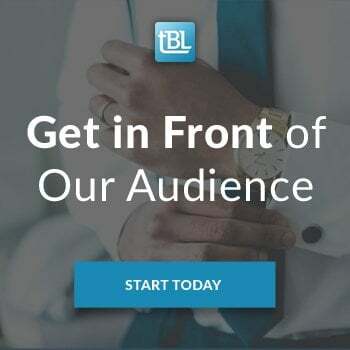 DNA of #CRE is a partnership between The Broker List, represented at the presentation by Linda Day Harrison, and Buildout, represented at the presentation by Ewa Baska and Sonni Conway. In their presentation, they discussed what is DNA of #CRE, its history, its growth, and the insights it has provided about the commercial real estate industry. In 2015, DNA of #CRE was born, as Ewa said, to “find out who the brokers are and what do they do.” They were dissatisfied with the available information about the brokerage industry, like what brokers are doing specifically with their time and what technology they are using. Moreover, they wanted this information to be publically available, so anyone could access it. Startups would especially appreciate the information, they figured. 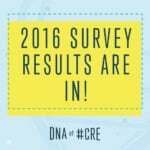 When DNA of #CRE was born in 2015, it was a basic survey. As Linda put it, “The first year was very crudely done, but it happened.” While the survey excluded some relatively intuitive questions, like asking about personal demographic information, they were still able to gather some insightful information about the real estate industry. The first DNA of #CRE survey just produced an infographic, with only a bit of social media promotion to accompany it. That year, the survey was promoted via email, word of mouth, and social media advertising—with Linda making heavy use of GIFs to great success, according to Ewa. In 2015, 200 brokers responded to the survey. In 2016, the DNA of #CRE team resolved to make it an annual report, tracking commercial real estate trends over the years. They also added a report analyzing the survey data to compliment the infographic of the previous year. Over 300 brokers responded to the survey in 2016. The 2016 survey also included more detailed questions about business size, grouping businesses into small, medium, and large categories. The DNA of #CRE team wanted to see what the differences were between these sizes. Linda noted that one of the things they were curious about was the number of women across the company sizes. 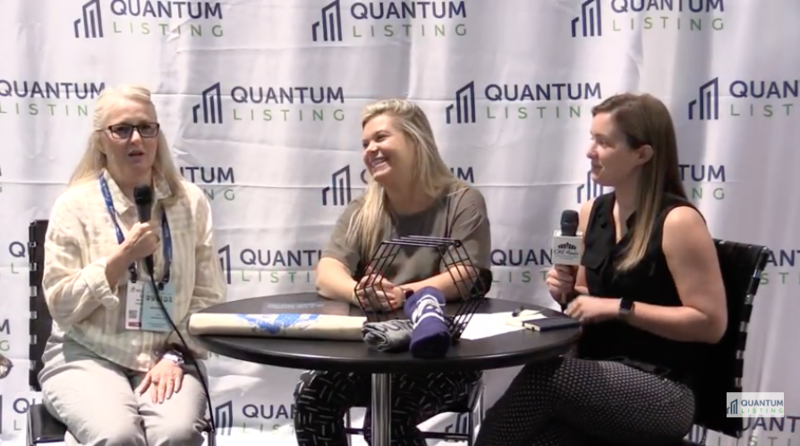 To their surprise, the percentage of women in real estate businesses is approximately the same across each brokerage size. Ewa also mentioned that there was a large disparity in the number of technological resources used across sizes, with larger brokerages using their greater resources to employ more tools. 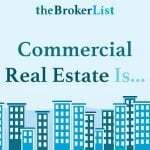 The 2017 survey, the most recent one to date, included an entire second survey geared toward commercial real estate marketers in addition to the broker surveys of previous years. 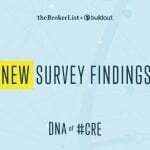 The DNA of #CRE team wanted to see how marketers, along with brokers, spend their time. 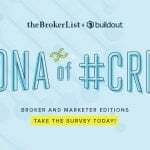 This survey also featured more responses than ever before, with over 500 brokers and marketers providing information. 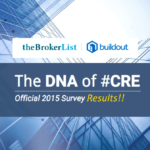 Throughout the three years of DNA of #CRE, the surveys have continually gotten better. Besides expanding the survey to marketers, the questions have become much more refined over the years based on feedback. For instance, a progress bar was added to the survey because people wanted to see how much time was actually left in the survey. As the survey has grown, so has the amount of data produced. This year all the infographics between the broker and marketer surveys were over 24 feet long when printed! 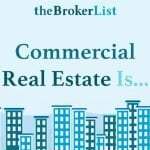 Therefore, the data that DNA of #CRE gathers can be particularly useful, as it reveals the nuances of the commercial real estate industry. This detailed picture provided by the data can be particularly useful to startups, so they can get specific insights about the aspect of real estate that they are targeting. All data from DNA of #CRE is publically available and may be found here. 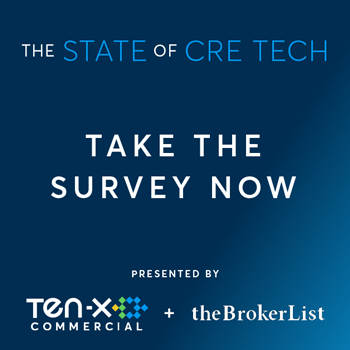 While the survey hasn’t identified many trends about practices, it has provided some interesting insights about the demographics of the CRE industry. Men constitute approximately 82% of the brokerage side of real estate, while almost the same number of marketers are female. Brokers also skew older, often with over 30 years of industry experience, while marketers skew younger, with less than five years of industry experience. Ewa noted that some brokers stated that they actively pursue younger marketers, so they can get the “new tactics” that come with their youth, such as knowledgeability about social media. This year’s survey also included questions about the direction in which brokers and marketers believe that real estate is going. The results indicated that there is an increasing trend towards implementing technology, with 84% of survey respondents stating that they would embrace technology more in 2018. The technologies that survey respondents most want to adopt include customer relationship management (CRM) software, drone video, online listing marketplaces, document sharing, and document automation. The DNA of #CRE team noted that the commercial real estate sector still has a lot of potential for technological improvement. A majority of brokers use fairly simplistic software for their CRM, such as Microsoft Outlook and Excel. 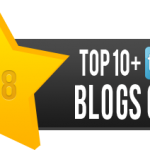 Ewa said that the fact that brokers even consider these pieces of software CRM at all speaks to the antiquated technological mindset of many in the industry. She noted that Outlook, for instance, is basically “just a rolodex.” While the current technology used by many brokers isn’t state of the art, the possibility for modernization speaks to the large opportunity that CRM software companies have for increasing their business and the brokers themselves have for enhancing their customer relationships. Before concluding the talk, Linda mentioned that DNA of #CRE would like to add further infographics about commissions and increase the focus on demographics.